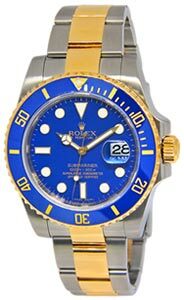 Pristine preowned mens Rolex Submariner (ref. 116619 – card dated 2011). Newest model with Cerachrom blue bezel. 18k white gold case and bracelet. Comes with its box and papers and hang tag as shown.